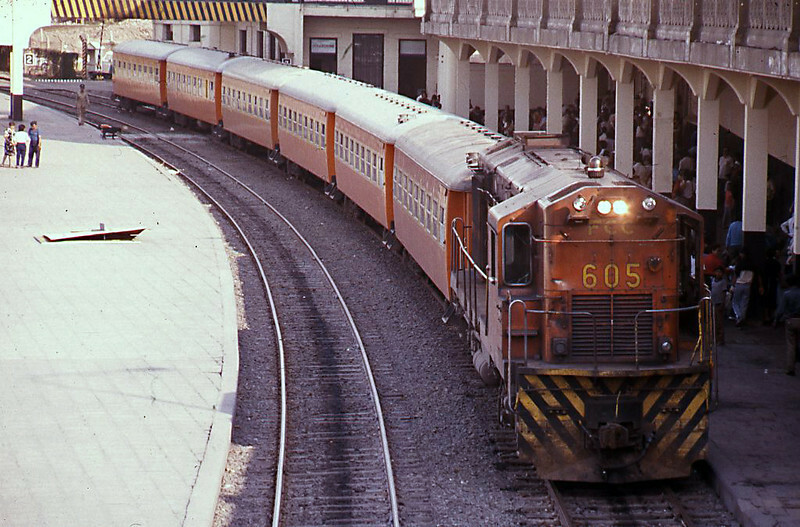 On December 22nd the daily train from Huancayo to Lima on the FCA mainline arriving at Desamperados station in Lima, the train being formed mainly of Cravens lightweight stock. 605 is an Alco DL-560. Just outside the station is the curiously named Lunch Cafe from where Miles Kington started his journey, we had just enjoyed our first soapy south american beer before the train arrived.